and we found mum Campari and two of her three x 5 mth old cubs awakening to another beautiful Serengeti sunrise. A gorgeous silhouette, Marc. Love the framing. Superb, Marc! 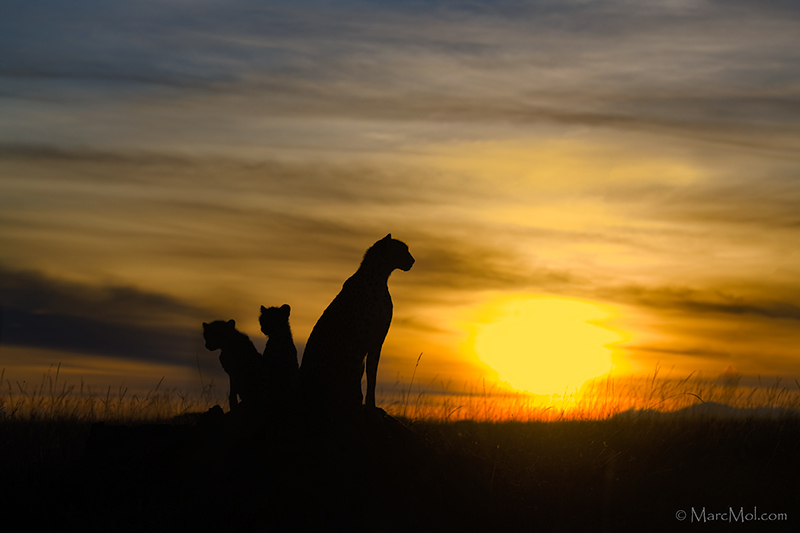 The elegant cheetah silhouette is beautifully outlined against that wonderful sunrise. Love it! Stunning shot- so evocative in the sunrise with perfect timing and exposure on the silhouettes. Just love the mood you have created here.